Life coaching changed my life. It’s been one year since I started learning about life coaching, and since then, I’ve gone from knowing nothing about life coaching to being certified as a life coach. It started when I went through a breakup at the end of 2017 that was pretty rough. Therapy helped. But in two weeks time, life coaching – and the tools taught in it – changed everything in my life for the better. I was quite literally, instantly okay. 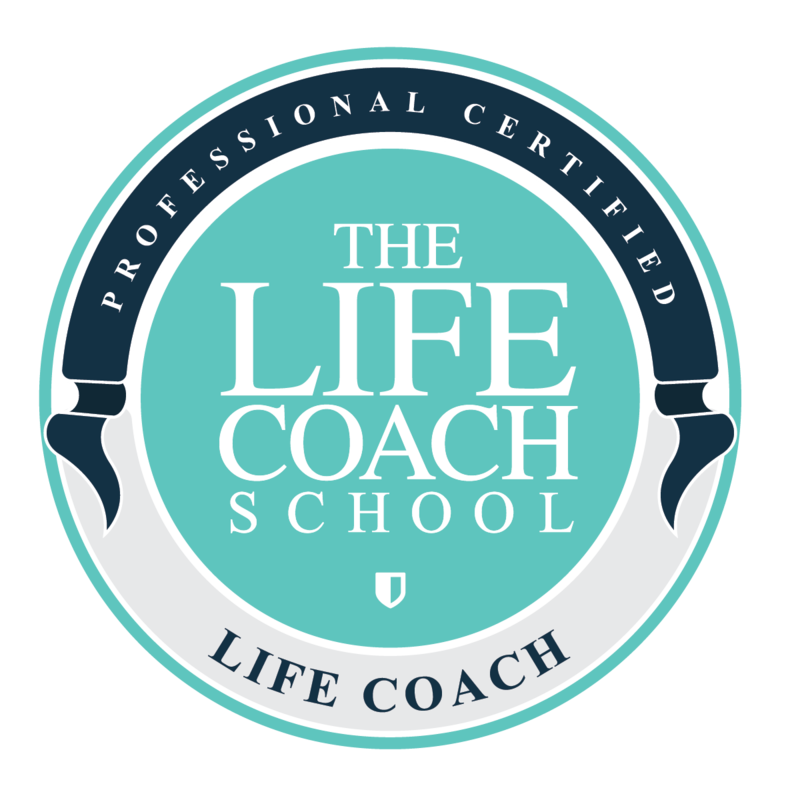 I spent the last year learning everything I could from The Life Coach School, which resulted in me going through the training program at the school and becoming a certified life coach. The reason I did this was not so I could have another certification. I did it because I wanted to know exactly how to help people the way I had been helped. I have always loved personal development. I’ve always felt comfortable teaching it. But I’ve never coached before. Life coaching is like using personal development tools through coaching. I’m launching a life and business coaching program for creative, career-driven women, called Grow You. If you’re interested, you can join the waitlist here. Most people don’t know what it means to be a life coach, so I want to explain it. Because life coaching is amazing. If you want to listen instead of read, here’s the podcast episode that goes along with this post — What Is A Life Coach. What Is A Life Coach Exactly? This definition is okay, but there’s so much more to life coaching. Life coaching is something I think can be better understood if you compare it to therapy. With therapy, the focus is on the past. The point is to heal past wounds. Therapy is usually diagnostic based, focusing on diagnosing a non-functioning problem that needs to be solved or focusing on the past and how it’s affecting the present. The key is to reveal the subconscious thinking. With therapy, you go from dysfunctional to functional. You’ll likely talk a lot about your childhood and the past in therapy. The therapy industry is also highly regulated. Life coaching is future focused. With life coaching, you go from functional to exceptional. You don’t talk much about your childhood at all in life coaching. Life coaching is an unregulated industry. I’ve gone to therapy. I love therapy. I think it has a critical role in helping people. However, it’s often used not only for what it should be used for – but also for what it shouldn’t. I see many friends going to therapy who are very highly functioning, have no diagnostic problem, no real trauma they’re working through from the past… they just want “more” or something is “off” … they have money problems, relationship problems, they’re unfulfilled in their careers, etc. These are all life coaching issues. I think it’s useful to go to therapy if you’re non-functioning and need to be diagnosed and get to a functioning place. Then, once you get to the point of functioning, you should transition to life coaching. There are many types of life coaches. For example, some coaches encourage accountability and will tell you exactly what you should do. Alternatively, there are coaches who help you see how you’re creating the results in your life and how you can change those results yourself. This is the type of coach I am. It’s the best type, in my opinion. Getting a life coach (or a therapist) is like getting a car. You need to test drive. You may not like the first one you try. That’s okay. Nothing has gone wrong. It’s normal. Try another therapist or coach. It has to be a good fit. Before the 1980s, no one was going to gyms. Now, if you don’t belong to a gym, you’re in the small minority. Gym life is part of our culture. That’s how life coaching is right now. It’s just at the beginning of the boom. We’re not killing for food or protecting ourselves against killers. We’re in airconditioned houses and we’re contemplating what to do with our lives. Our brains are still the same –> seek pleasure, avoid pain, aim to be efficient. The result of this is that most of modern culture involves seeking pleasure to avoid emotional pain. We don’t have to avoid physical pain that much anymore, but our brains don’t know the difference. We avoid feeling negative emotion by overeating, overworking, overdrinking, over-netflixing, etc. We’re becoming addicted to pleasure instead of learning how to experience negative emotion. Life coaching – at least the kind I do – is the solution to this problem. Life coaching shows you how to live your fullest, best life, from a place of inner well being – not from external pleasure. What’s A Life Coaching Session Like? Each life coach will run her session differently. For example, you may find the coach has a call (maybe video) with you for an hour, similar to a therapy session. Or the coach may work with you via email or in person. The first session may be introductory, while the following sessions may follow part of a six week program for a specific area of your life, such as weight loss, business coaching, or relationship building. Another way to get life coaching is through a monthly subscription program. This is how I’ll run my coaching program. I’m starting a program called Grow You. It’s a monthly personal development coaching program for creative, ambitious women. You can join the waitlist at nataliebacon.com/coaching. Students will get online access to a membership program with a new topic every month. Coaching takes place on group calls and there are a variety of other benefits that are part of the program, including a teaching lesson, workbooks, access to ask me questions, and additional bonus lessons. Life coaching done right is a life changer. If you want to know what it’s kind of like, listen to my podcast – Design Your Dream Life. This is the kind of stuff that life coaching teaches you how to do. If you want to join me in Grow You, you can join the waitlist here: nataliebacon.com/coaching. Natalie, congratulations on taking this next step. Can you speak to pricing? Thank you for sharing such a detailed post. I am looking forward to hire a life coach.